Who you are and what you do blows people away. Most people can’t believe how hard you are willing to work. They can’t believe what you are willing to sacrifice to reach your goal. 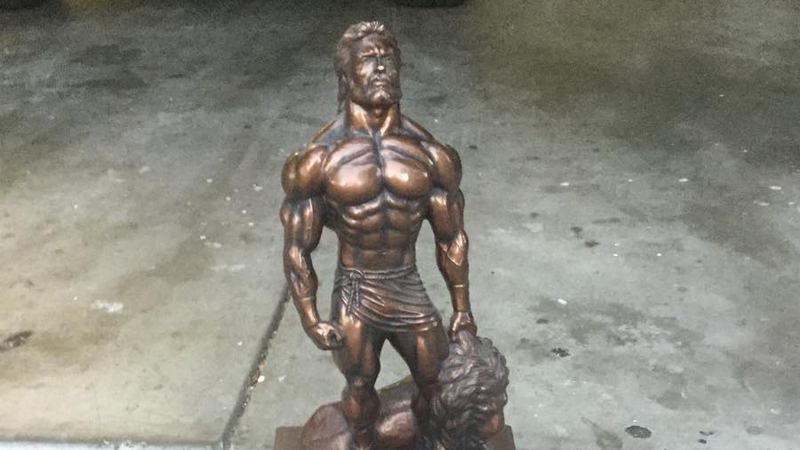 How many times have you been asked “How much money do you get for doing a bodybuilding contest?” When you tell them you don’t make any money, their eyes dart around in their heads with confusion. It makes no sense to them. What really hurts is when people very close to us tell us that we’re wasting our time. They’re the last people we’d expect. They hurt us more than they know. This our journey. This is our mission. This is our identity. This is our story of redemption, therapy, calling, sense of meaning, and what we were put on this earth to do all rolled up into one huge ball of PASSION and POWER. How else could we put ourselves through all of this if it was just for a plastic trophy? Do what you must. Be you. There are few experiences in your lifetime that match the contest preparation process. You think about your goal dozens of times a day. You see the finished product, your amazing body, in your mind at least that much. Every minute of the day is accounted for and everything you do has meaning. You are forced to live that way. There are no off days. Every single day isn’t perfect during contest preparation. It doesn’t have to be. You gave it your all. You left it all on the floor. When you put your head on your pillow at night, you know you gave it everything you had inside of you. If you didn’t, you bounced back the next morning scratching and clawing. Damn! Tell me you’re not getting goosebumps all of over your body right now just thinking about your incredible past experiences. I had my story as to why competing was so important to me in the past. Time and distance have given me a revised version of my story. We all have our personal stories that fuel us. What’s yours? 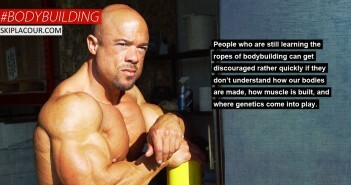 Why are you willing to do what very few will do to reach your bodybuilding and fitness goal? Why are you so driven? What does that plastic trophy symbolize to you? Don’t let anyone make you feel bad about all the willpower, focus, energy, and time that you invested into winning your plastic trophy. Not even you. You did what you had to do for your definition of greatness. You did what you had to do for mental and emotional survival. You did what you had to do to be you. I respect and admire everything you’ve done or continue to do. And you know what? You’re in good company. You know those people who question what you do? They are ALL driven toward their own “plastic trophy” with all of their pain and power too. Their “plastic trophy” is just that Lamborghini that they can’t shut their traps about. That stack of money they constantly hint at. Their business success that they not-so-subtly mention was featured in “Awesome Entrepreneur Monthly.” Their massive online fans and followers. The tremendous faith that they have in their Creator. That diploma they’ve earned and those fancy letters that diploma has allowed them to attach to their name (even when they’re sending an email to their own mother). Those pictures of their kids they can’t stop posting on social media (Guilty!). They are no better than you. They are no worse than you. Don’t ever let them make you doubt yourself again. NEVER GIVE THEM YOUR FRIGGIN’ POWER! It doesn’t matter how much money is in our banks accounts. It doesn’t matter how ripped our abs are. How conscious are you of why you’ve chosen yours? I want to be your friend or coach who helps you recreate those same amazing feelings of the contest preparation journey toward your entire life. I want you to have everything you want and not settle for just parts of it. You think about your (insert your new, more empowering, all-encompassing MISSION here) dozens of times a day. You see the finished product, (fill in the blank), in your mind at least that much. Every minute of the day is accounted for and everything you do has meaning. You are forced to live that way. There are no off days. Every single day isn’t perfect during (fill in your new, empowering journey here). It doesn’t have to be. You gave it your all. You left in all on the floor. When you put your head on your pillow at night, you know you gave it everything you had inside of you. If you didn’t, you bounced back the next morning scratching and clawing. Damn! Tell me you’re not getting goosebumps all of over your body right now just thinking about your incredible FUTURE experiences! Just imagine what that life would look like. Just imagine what that life would feel like. Just imagine what that life would be like. Just imagine, for a moment, what that person living that life every single day would look like in the mirror. It’s not too late to be great. It’s time to go for a new “plastic trophy” that includes your current plastic trophy and a whole lot more. You’re just one totally consuming, awesome “contest prep season” away from the life you really want. • Massively increase your work performance and career prospects. Earn more money by getting the job you really want or by getting promotions at the job you already have. • Start your own business and earning financial abundance doing what you love to do for a living. • Become the man who can attract the new love into your life or improve the love, connection, and intimacy in the relationship you are already in. • Build powerful personal and professional relationships. • Learn proven, easy-to-apply techniques that will draw people to you like a magnet—and have fun doing it. • Learn exactly what it takes to earn a healthy, lean, and powerful body with an extraordinary energy level by training eating, and thinking like an experienced drug-free bodybuilding champion. • Set clear goals and adopt winning strategies to achieve them. • Learn the skills you need to develop supreme confidence in yourself and your abilities. Take your “MANformation” to a higher level with consistent focus and attention. • Develop congruency in your mind and body and exude amazing charisma and presence that the rest of the world can’t help but take notice. Your body language will become that powerful. • Immediately start aligning all of your talents and abilities so they are used to the fullest and FINALLY start producing the RESULTS you really want. • Overcome the fears and limiting beliefs that are keeping you from success and happiness. • Eliminate emotional “baggage” from your past and create a compelling future. • Break self-defeating patterns and create new, empowering ones. • Attract mental, emotional, and financial wealth and abundance in your life. • Get a better understanding of your personal values and how they influence the direction of your life. Clarity. When you have a clear vision of exactly what you want in life and all of the emotional reasons why it is so important to you, you’ll have the best chance to succeed in the most effective, efficient manner and in the shortest period of time. Skip La Cour will get you clear on all the goals you want to achieve in your life and all the emotions you want to experience. Focus. No matter how well we are already doing in life, the “next level” will take a new way of thinking and take actions that we’re not used to doing. Because of our already busy schedules, it’s easy to lose focus on all of the ambitious goals we’ve set and keep thinking and doing the way we have for a long time. Through your regularly scheduled coaching sessions with Skip, there is absolutely no way possible that you’ll lose sight of what you really want. Accountability. People are oftentimes more willing to do whatever it takes so they don’t let other people down than they would to not to let themselves down. Coaching on a regular basis can help you use this powerful human tendency to your advantage. How many times in the past have you set ambitious goals or committed to a new set of empowering behaviors only to eventually go back to your old way of thinking and doing? If you have done this in the past, you’re certainly not alone. When you commit to your clearly-defined goals with your coach Skip La Cour, you get an extra layer of accountability because he holds you to executing your plans on a continual basis. Perspective. Sometimes when we are working hard toward our goals in life, it’s difficult to figure out if we are pushing ourselves too hard or not hard enough. It’s tough to really know if we need to change what we are doing because it simply isn’t working–or if we just need to keep on doing what we are doing for a longer period of time. This is especially true when you want to go to a place that you’ve never been or feel a set of emotions that you’ve never felt before. Coaching with Skip La Cour and continually examining your current situation will give you the perspective you need to succeed. He’ll help you get a level of perspective that you simply can’t get all by yourself. You’ll move toward your goals more freely and unencumbered by all of the second-guessing and “internal chatter” that comes from not having the right perspective. Execution. The best attitude and the willingness to work hard won’t matter if you don’t create an effective plan-of-attack and follow through with that plan you’ve decided upon. You have to take consistent action. Skip La Cour will help you create a set of effective RESULTS-DRIVEN “daily disciplines” that will jump start your progress and catapult you in the right direction. He’ll apply the right amount of pressure on you to fulfill the promises that you made to yourself. Your regular coaching sessions will keep you focused and put the pressure on you to do whatever it takes to succeed during those times when you’re highly motivated and especially when you’re not. Momentum. You become what you think about and do most in life. When you live in a powerful and more enthusiastic mindset long enough, that eventually just becomes your normal way of thinking. You’ve actually proven to yourself by your actions that’s the only way you should look at yourself. When you step up and do what you set out to do on a continual basis, you build unstoppable momentum. When all of this starts happening, the things that you once found difficult to get yourself do all of a sudden become much easier. Skip La Cour and the regular coaching you’ll get from him will help you build that powerful momentum. Results. You want to do everything you can to make your journey toward getting what you want a better, more enjoyable experience along the way. The main purpose of coaching, however, is to help you produce the results in your life that you may have never been able to do on your own. That’s always the bottom line and your coach Skip La Cour will never let you forget that. How many times have you got all hot and excited about making significant improvements in your life—but you eventually just stopped thinking about it let alone took action? It became just a distant memory of something you were going to do “someday”. The more references like these that you create in your life, the tougher it will be to ever follow through the way you must. That’s not going to happen to you with this aggressive and consistent style of coaching. It’s simply not possible. Make “someday” today by taking action and enrolling in this exclusive weekly one-on-one coaching program. 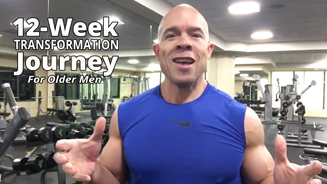 I’ll provide for you the weekly accountability you need to succeed. I’ll drive you and push you–because that’s what we ALL need to get the most out of our talents and abilities. You’ll also be given an assignment each week—and I EXPECT you to follow through. You aren’t going to let me down, are you? Isn’t it amazing how we’ll do more to not disappoint the people we RESPECT but we don’t always work that hard for ourselves? Now, you can use this “odd” human characteristic that is common in many of us to SERVE YOU by stepping up and putting yourself through this program. Just think of how much your life will change for the better because you are FORCED to focus on what you really want. You simply MUST have some “skin in the game” if you are going to succeed at the highest level. The sooner you accept that fact the better off you are going to be earlier in your life. Stop trying to “cheap” your way through. That’s hasn’t worked so far, has it? And, that’s not why you’ve taken the time and energy to read this far down this page. Don’t let any more precious time slip away! Invest in yourself today. You deserve it, don’t you? You and I will talk for 30 – 45 minutes every single week. We will talk on the exact same DAY at the exact same TIME every week as STRUCTURE is an essential element to this coaching program. During your time coaching, not only will you be held accountable for your goals by checking in with me in person over the phone each week, you will also have a variety assignments that you’ll need to execute. It’s time for you to finally MASTER these important areas of your life. Clarify Your Direction. Skip La Cour will force you to get and stay focused on the clearly-defined goals that you’ve set for yourself based totally on your own personal needs and what’s important to you. Strategize Your Actions. You’ll actively work together with Skip to create a plan customized for you so both of you are always clear about what you are going to be doing each week and even each day. Upgrade Your Skills. Together, you’ll approach your skill sets from a place of strengthening your strengths and shoring up your weaknesses to ensure that it doesn’t hold you back from success. These skills include speaking, presentation, sales, creating empowering relationships with other people, and much more. Optimize Your Environment. You’ll constantly evaluate whom you surround yourself with. You’ll strategically work to create an environment of people who support you and eliminate those who don’t. 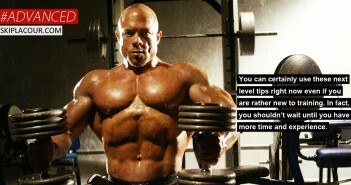 You’ll also create a physical environment that supports your efforts. This will be accomplished by giving your physical body and physical surroundings like your work environment the attention it needs. Your mental environment is the most important of all. You’ll work to organize your thoughts and ideas racing through your head and use Skip’s guidance to gain the perspective and confidence you need to move forward more freely. Master Your Psychology. You’ll continually think about where you want to go in life, why it is so important for you to do so, and what obstacles you’ll need to work though in order to achieve the level of success you’re after. This constant focus will help you become more determined and more mentally and emotionally flexible to do whatever it takes to live the life you really want. 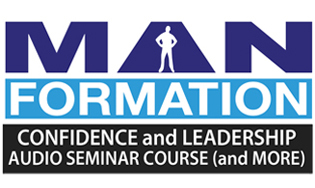 The majority of my coaching clients are men wanting to take their MANformation confidence and leadership Skills to a higher level because they were able to get so much out of my MANformation audio seminar course. My 25+ years in the personal development/motivation field and the bodybuilding, training, and fitness industry enables me to teach you in a manner that produces immediate results. You’ll experience even more benefits than you expect. Without a doubt, you will appreciate and understand these benefits as more time goes by. I will take you through a series of physical, mental, and emotional EXERCISES during our time together only after I first get a good sense of who I am dealing with. Where you are currently are with your goals is very important for me to know in order to make an intelligent decision on how to proceed. We’ll set up our coaching calls us on a special phone line that only you and I have access to. You’ll be able to record every conversation and get the mp3 sound file to listen to over and over again for years. Are you interested in one-on-one coaching with Skip La Cour but you aren’t quite sure it’s a good fit for you? That’s totally understandable! Unless you’ve had one-on-one coaching in the past or have talked to someone IN DEPTH who’s had a great experience with coaching, it can be a real challenge to appreciate its full power and recognize the positive impact it will have on your life. 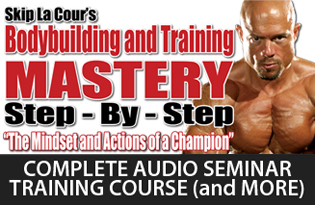 You can get all of your questions about coaching answered by talking to Skip La Cour directly on the phone. Click here to schedule a FREE 15-minute personal phone call and talk to Skip La Cour directly about your current situation, the goals you want to achieve, and the challenges you believe are standing in your way. Skip works exclusively with men who are the most committed to their success. He’ll gladly take the time to explain all of the benefits and determine if the two of you would be a good match moving forward into such a close, consistent, and intense working relationship. The availability for weekly coaching with Skip La Cour is extremely limited and reserved for those who are the most committed to achieving their goals. Skip has several different coaching options available in addition to his weekly one-on-one coaching program. 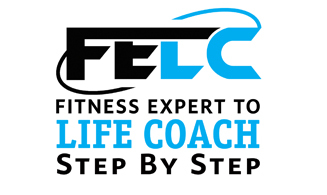 The first step is to determine which coaching program is right for you. It’s important that both you and Skip are certain that this weekly program is a perfect fit for BOTH parties. If you are interested in weekly coaching, the best way to get the process started is to set up a time for you and Skip to talk about your goals and challenges. You’ll discover that this is an extremely wise investment of time for both of you. The time you spend talking with Skip about your coaching options and availability is absolutely free. All you need to do is fill out the Questionnaire below and you will be contacted within 48 hours. Congratulations for stepping up and taking action. This is the very first step that you must take to achieve your goals and create the life that you really want. This questionnaire will help you get the very most out of your upcoming coaching session with Skip La Cour. Not only will it help Skip learn more about you and better serve your needs, it will help you gain more clarity as to what you want and what may be stopping you from getting it. I will contact you about your upcoming coaching session with an email or a phone call after you answer all the questions below and submit this form. Which social media platform did you find me on? How long have you been following my career, material, and work? Have you tried to change this before? What have you attempted in the past that didn't work? Why do you think it didn't work? On a scale of 0-10, how important is it for you to achieve change today? What other areas of your life do you want to change (if any)? What's the #1 BENEFIT you think you'll get from Skip La Cour's knowledge, guidance, and personal attention? I will contact you within just 24 hours. Expect a call from the 925 area code. Skip La Cour is a coach, speaker, author, and entrepreneur. He is the creator of the MANformation Confidence and Leadership personal development program for men and was a six-time national champion drug-free bodybuilder. La Cour helps ambitious men understand and execute effective confidence, leadership, and influence skills so that they reach their biggest goals in life with more control, clarity, and focus. Feel free to email Skip at any time at [email protected] with your questions and comments. Or, call (213)973-8790. Copyright © 2019 Skip La Cour.